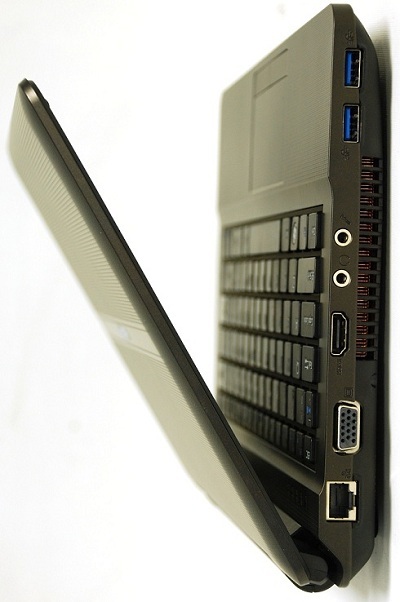 Eurocom Corporation (www.eurocom.com), a developer of long lifespan, high performance, fully upgradable Notebooks and Mobile Workstations has launched a small form factor OpenCL and CUDA development notebook that weighs 4lbs and comes with an Intel Core i7-3920XM Extreme Edition Processor, NVIDIA GeForce GT 650M graphics, 16GB DDR3-1600 memory and up to 1 Terabyte of storage. At the core of the Monster 1.0, users have an NVIDIA GeForce GT 650M to do their bidding, with 2GB of video memory, 384 CUDA cores, with the graphics clock running at 850 MHz this graphics powerhouse is the ultimate mobile computing machine. CUDA (Compute unified device architecture) is a parallel computing architecture developed by NVIDIA for graphics processing. CUDA is the engine inside NVIDIA graphics processors that is accessible to software developers through programming languages. CUDA technology allows developers to harness the power of the NVIDIA GeForce GT 650M graphics technology within the EUROCOM Monster for a mobile and ultra portable CUDA development system. “The fact that we were able to pack so much performance into the EUROCOM Monster 1.0 is quite an engineering feat. We are providing our customers with the utmost in performance with the mobility and size of an ultraportable. The EUROCOM Monster 1.0 is the perfect system for users who frequently traveler and need access to high performance computing hardware” says Mark Bialic, Eurocom President. OpenCL is another framework for writing programs to utilizing the power of a graphics processing unit for task based and data based parallelism. OpenCL allows users to extend the processing power of the GPU beyond the graphics to a variety of alternative functions. The ability to access the powerful NVIDIA GeForce GT 650M GPU within the EUROCOM Monster for OpenCL development is a key advantage of the product. EUROCOM Monster 1.0 provides workstation calibre storage capabilities with up to 1 Terabytes of storage with Solid State, Hybrid or Hard Disk Drive support. The Monster 1.0 “achieves its goal of packing the most amount of power in the smallest package possible while still maintaining usability. Stuffing the latest Intel Core i7 quad-core processor and a powerful Nvidia GT 650M graphics card in an 11.6” chassis is no small engineering feat. Overall performance is outstanding for any task, especially gaming. The W110ER (EUROCOM Monster) is a great travel companion thanks to its four pound weight and durable exterior… The four hours of battery life should suffice” Notebook Review.com. • Storage: up to 1TB of storage space; one physical hard drive. SSD, HDD Hybrid drive support.